Eden Landscape was invited to design 5 model houses of South An Khanh new urban from Sudico. The project was developed in the second quarter of 2014 by Eden talent architects who were educated in France and Italy. 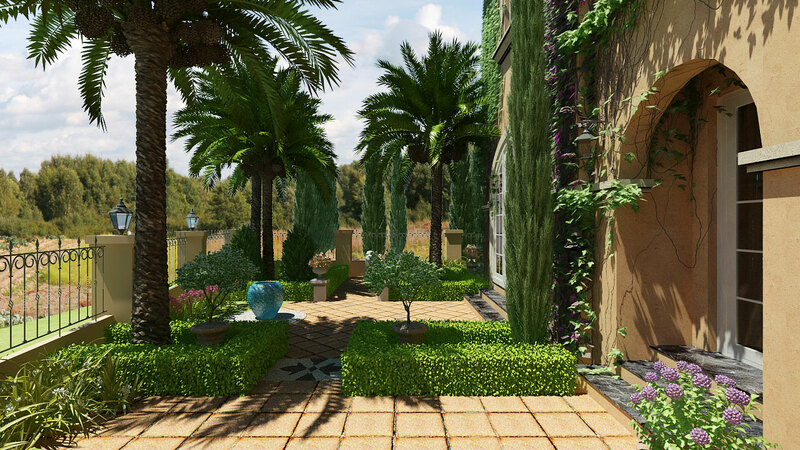 Italian and Mediterranean mansion gardens were localized to adapt to Northern tropical weather but still remained the beauty and elegance of landscape. South An Khanh is located in the west of Hanoi capital, in Hoai Duc, Hanoi. The area is about 288.8 ha with 189,7 ha for new urban site. Different from other urban, South An Khanh new urban is a luxurious one with open space and modern landscape including mansions, villas with air conditioning lake in the center. Based on the idea of creativity for the community, the project is a harmonized complex among villas, town houses, high rise buildings, offices, commercial malls and enterntainment zones.